- Miniature paintings unlock the door to a thorough re-examination of the ubiquitous 'classical' medallion design in Persian carpets, revealing an artistic revolution comparable to that which occurred at the same time in Renaissance Italy Between 1400 and 1500 a design revolution in Persia swept away a 2000-year-old tradition of carpet design, replacing abstract geometric patterns with complex floral scrolls dominated by a central medallion derived from the Chinese cloud-collar shape. This revolution represents a major event in world art history, comparable to that which occurred at the same time in Renaissance Italy. 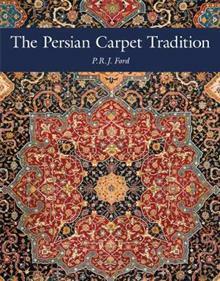 It was followed over the next four centuries by a second revolution, during which the principal design elements of the first permeated carpet production at every level throughout Persia and continue to dominate it to this day. Jim Ford worked for many years for the world-famous international oriental carpet import/export company OCM. 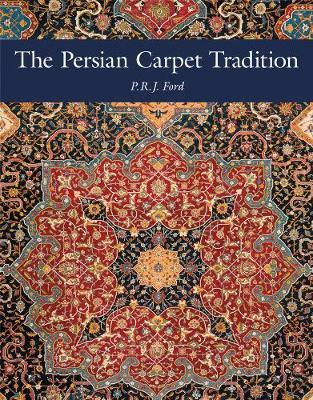 In his career he followed in the illustrious footsteps of A. Cecil Edwards (author of The Persian Carpet, Duckworth 1953), as the company's rug-buying agent in Iran, before setting up his own business after the Iranian Revolution with his wife Barbara Lindsay Ford, designing and producing their own contemporary carpets in Nepal. He is the author of one of the best-selling oriental rug books of all time, Oriental Carpet Design: A Guide to Traditional Motifs, Patterns and Symbols, which has been subsequently reprinted on both sides of the Atlantic and translated into German and other languages.